This Estepona Map shows popular attractions, places of interest & transport locations . Click the name in the right column to highlight the location on the map. 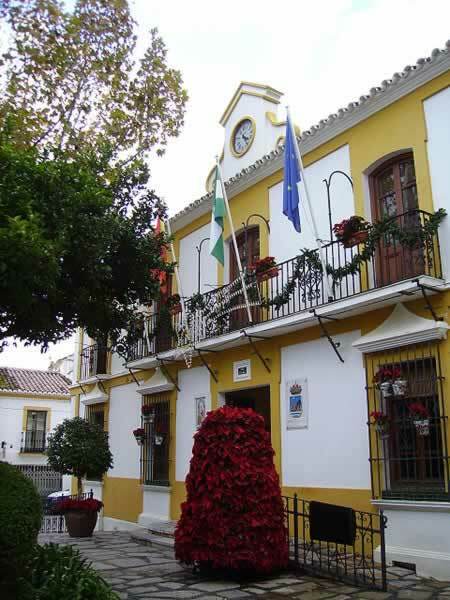 The old town of Estepona dates back to Roman and Moorish times. Well worth a visit is the clock tower, the Los Remedios church and the Mercado Municipal, a covered fruit, vegetable and fresh fish market. On the outskirts of the town is an unusual asymmetrical bullring which hosts shows and concerts. You’re more likely to pass the time of day over tapas with local people than to run into hordes of tourists, although it is becoming increasingly popular, particularly with golfers. 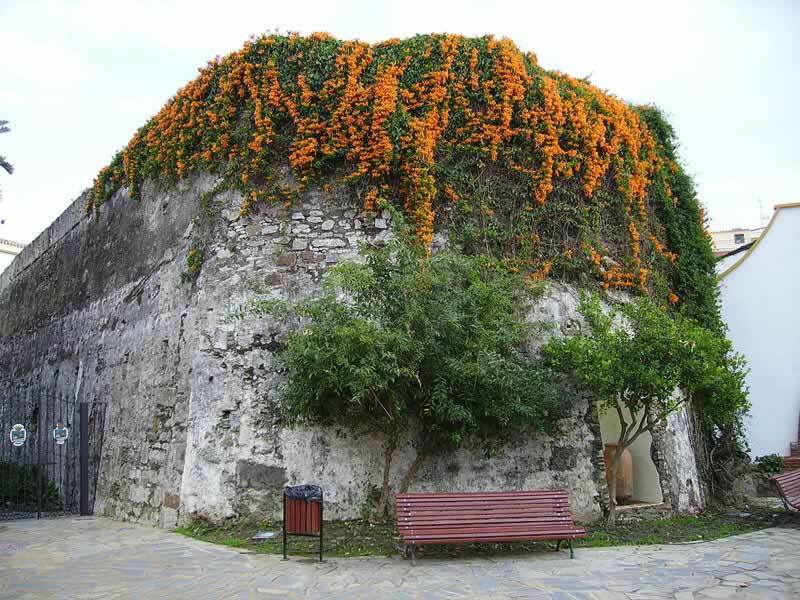 There are sights to see – the clock tower, Los Remedios Church – and chic restaurants and bars around the harbour to sample. 25 kilometres west of Marbella. Estepona is well known for it's stunning 21 kilometres of glorious beaches. La Rada Beach is a large beach being 2.5 km in length, and located right in the centre of Estepona. It's location and golden sand makes it the most popular of the beaches. The beach is backed by a modern spledid promenade with all the usual beach bars and restaurants that one is accustamed too in a popular resort. 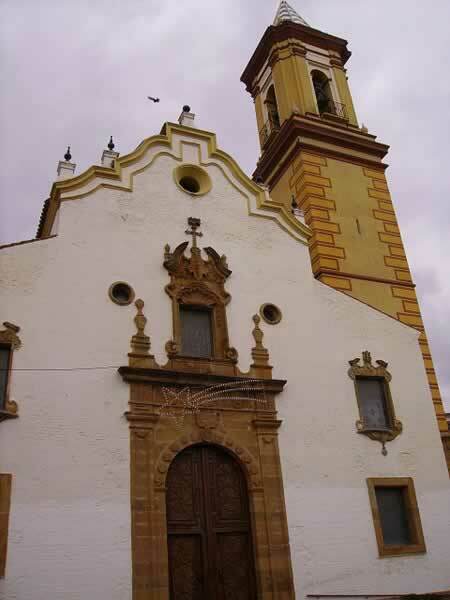 The Los Remedios Church was erected in the 18th century as a Franciscan monastery, and built in localstone that is iron ore rich. A close examination andyou can see the iron ore.
Estepona Marina is located to the west of La Rada Beach and has over 400 berths for boats. 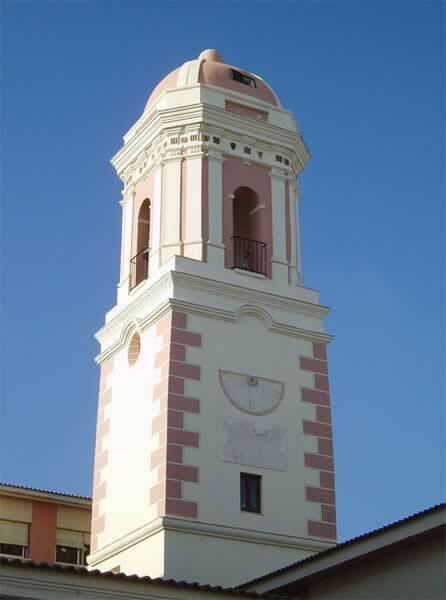 You'll find that the majority of shops in Estepona are clustered around the centre of the resort. Stores sell regional crafts, including leather goods, while the town's elegant boutiques stock a range of stylish fashions and designer labels. 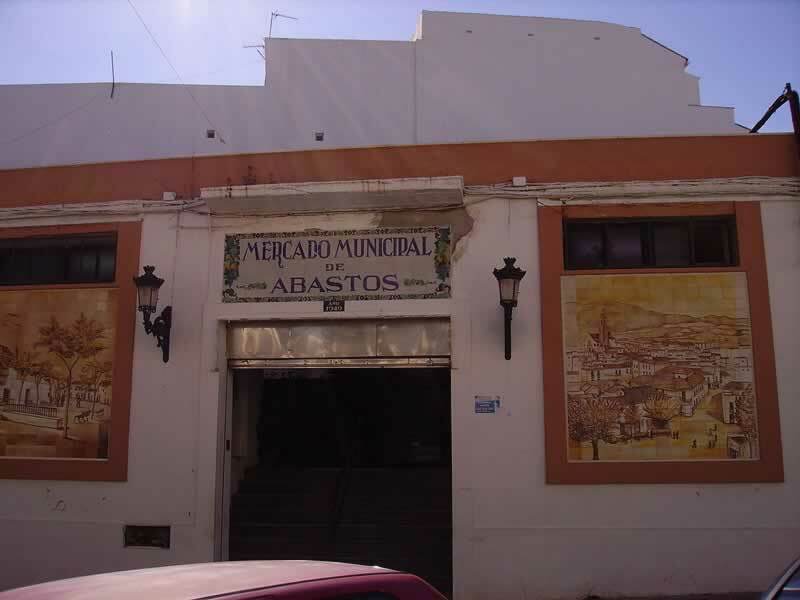 Abastos Municipal Market a Municiple Market, like mostMuniciple Markets it sells fresh food - fish, fruit, meat & vegetables. Located in Calle Villa at the side of the Town Hall. Located on spare ground in Avenida Juan Carlos. Typical Tourist Market with local (and not local) arts & crafts, gifts, trinkets, jewellery, DVDs, CDs etc. 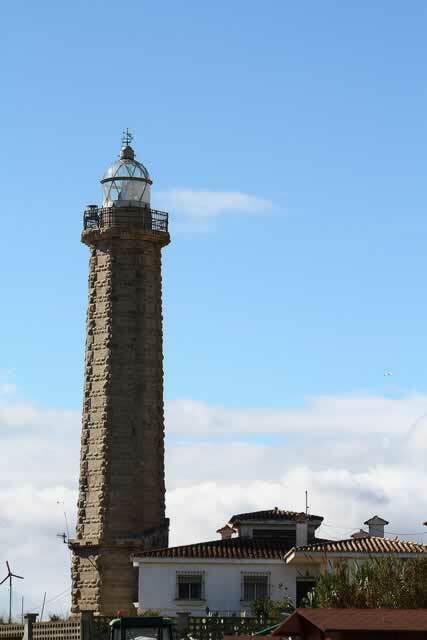 Located at Estepona Marina on Sunday Mornings. A wide variety of goods including second hand which can include Antiques & collectibles items. Located at the Bull ring on Sunday Morningsand early afternoon. 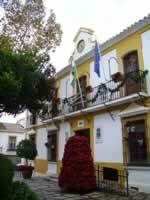 As a town, Estepona remains less influenced by tourists and so most people while away their evenings over a glass of wine and a good meal. 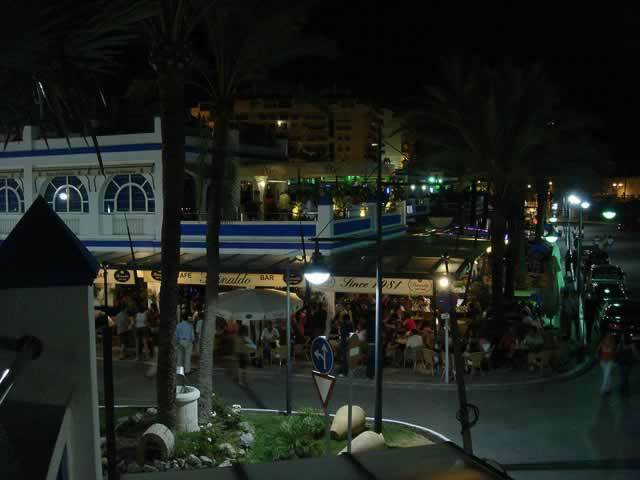 However, the Puerto Deportivo area for a great night out. For some star spotting and some glitz, head up the coast to trendy Puerto Banus and chic Marbella. 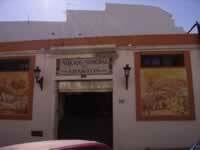 There is an excellent choice of eateries in Estepona. Try the trendier cafes and restaurants which circle the harbour area. Traditional tapas restaurants are located in the town centre. The Rock of Gibraltar with it's many attractions and the famous Barbary Apes. The nearest airport is Gibraltar Airport 45 Kilometres. In the past there have been disputes between the Spanish & British goverments that have led to the border being closed. AP 7 autopista, which is a Toll Road, better quality road with longer smoother curves & also bypasses towns such as Marbella. Tolls vary. There is no railway station at Estepona. The nearest ones are 25 kilometres (as the crow flies, about double that by twisting mountain roads) at Gaucin (El Colmenar), San Pablo & Jimena de la Frontera stations on the Granada - Algecias Line.